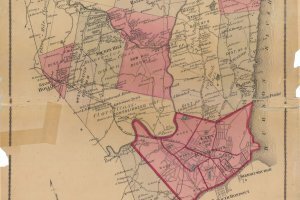 Come explore the exhibit which features maps showing the original bounds of the Town of Kingston, courtesy of the Ulster County Clerk’s Archives. The maps span 126 years, with the earliest dated 1771, and the latest dated 1897. All of these maps show the boundaries of the Town of Kingston at various times in its history. Please contact the Town Hall at (845) 336-8853 for more information.